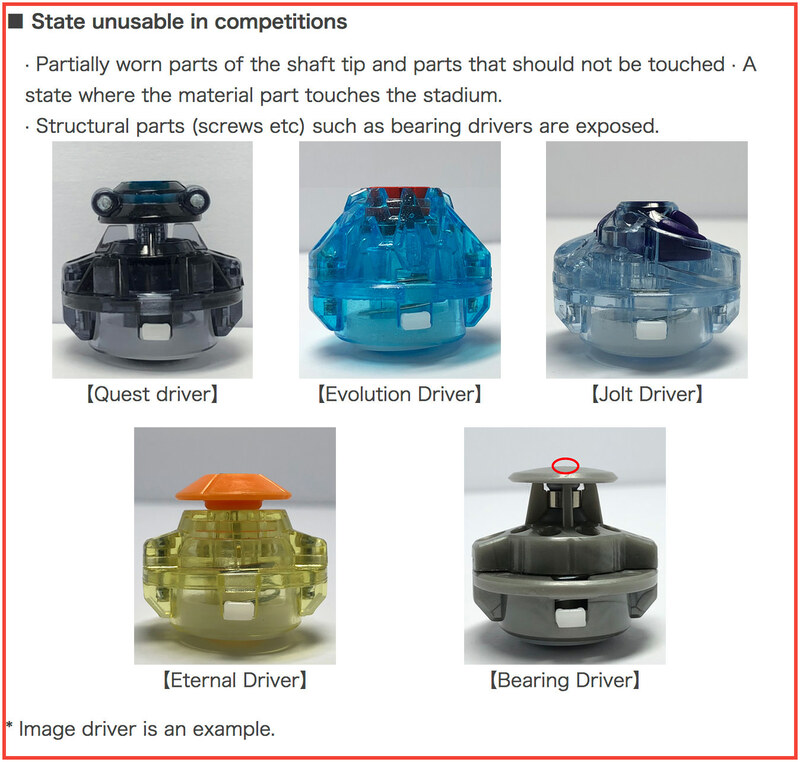 TAKARA-TOMY just made a new post on the official Beyblade Burst website the other day clarifying more precisely what constitutes a legal and illegally worn Driver. They didn't include all Drivers, but I think the examples they give a good sample of what players should be looking for when deciding if a Driver is legally worn or not. 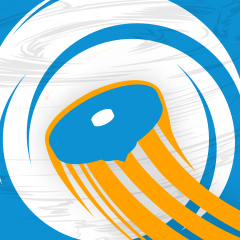 Burst Format Rulebook Wrote: Significantly Worn Parts: Beyblade parts that have worn down to an extreme degree, causing the part’s shape and/or performance to be drastically altered, may be rejected from WBO events. Please ask a judge if you are unsure if your part is legal. Seeing this new post from TAKARA-TOMY makes me wonder if the wording "drastically altered" is too vague. The change to Quest in the usable image looks "drastic" to me, for instance. I have to admit some of the “worn and illegal” made me LOL. Worn down bearing? Yikes, I've never seen any of those before.. 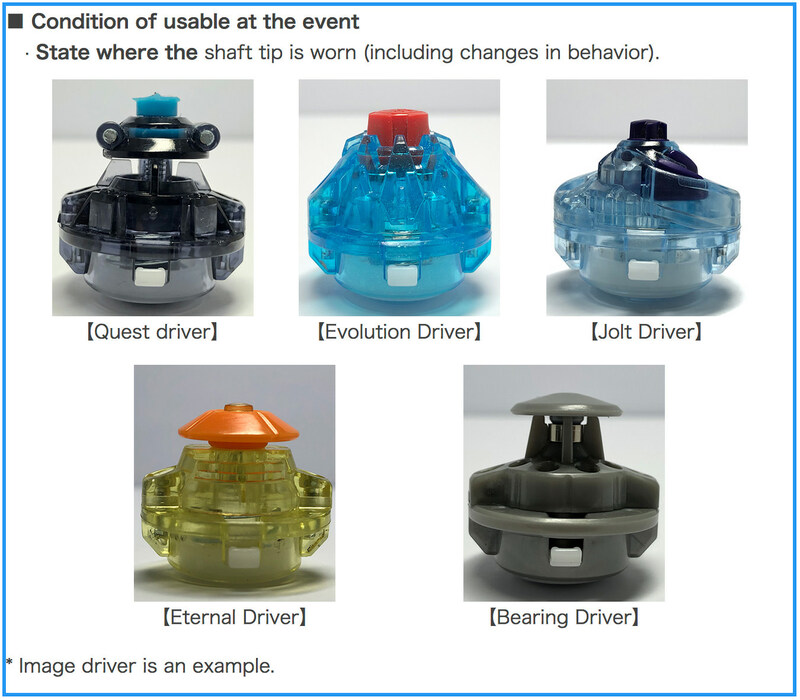 I'm gonna try wearing down my bearing driver just to see how that turns out to work. Also I think the Qs description on the back of the box it this says something to the effect of “performance of the driver will change with use”. I believe drivers that are suppose to have an “awakened” state are getting this type of wording. I can’t translate perfectly so I am not certain. Yeah, I think the biggest takeaway from this is that TT is pretty lenient when it comes to Driver wear. Their definition of "unusable" is the part being worn down to a ridiculous degree. That being said, I do think there is also a difference between natural wear and unnatural wear. A part can be worn a little bit, but done through obviously unnatural ways (like launching on concrete) and it would be illegal for us. I think we'll have to look at being more specific with our rulebook on this matter soon. 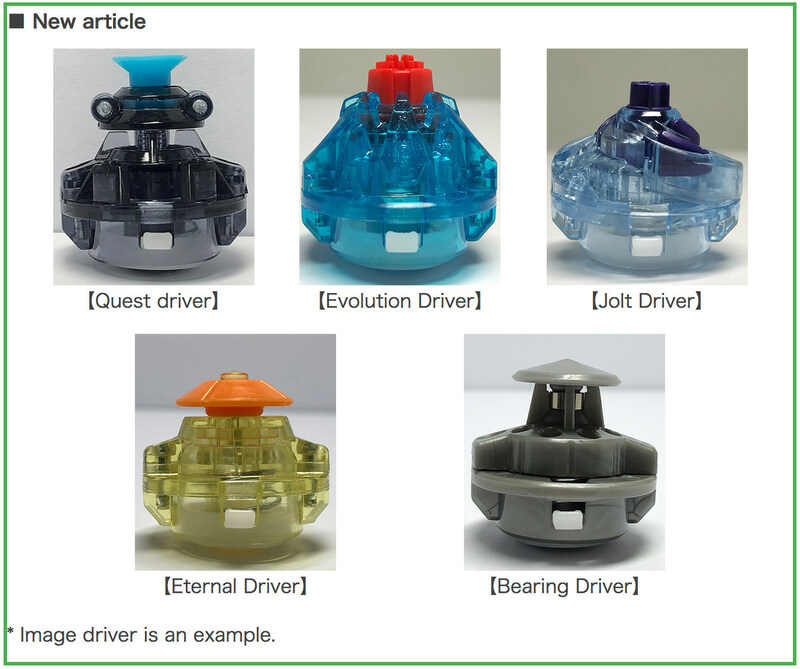 You can see the line where they cropped the image off to create those "illegally worn Drivers"
So Quest is meant to wear down into a short rubber sharp, then a free spinning rubber flat? Quest is really interesting. I'm curious on how it would perform.